You’d think that sending your basic contact information to another person with an iPhone would be a simple task, and one that Apple had streamlined. It’s not, and it’s a weird lapse in a company that tries to avoid the kinds of steps to perform a basic operation that Windows software used to abound in. It’s not that difficult, but it’s more than a tap. But, first, you want to make sure you’ve set up just the information you want to share. If you have a contact card for yourself in which you place private details, such as phone numbers and emails you don’t hand out, you do not want to share that as your standard contact card. macOS has an option to suppress fields for sharing, but it’s oddly missing in iOS. Swipe down until you see Share Contact, and tap that. While viewing a card in Contacts, including your own, you can share it through any available means. 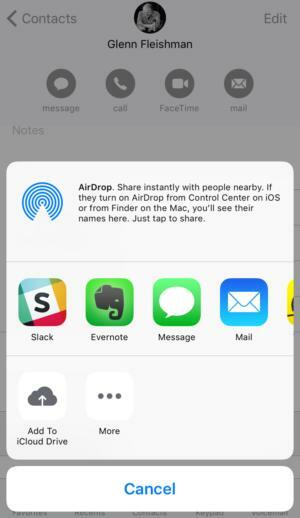 If you’re in proximity with someone who has an iPhone, you can use AirDrop. They need to use Control Center to enable AirDrop and set it to Everyone if you don’t see them in the AirDrop list. 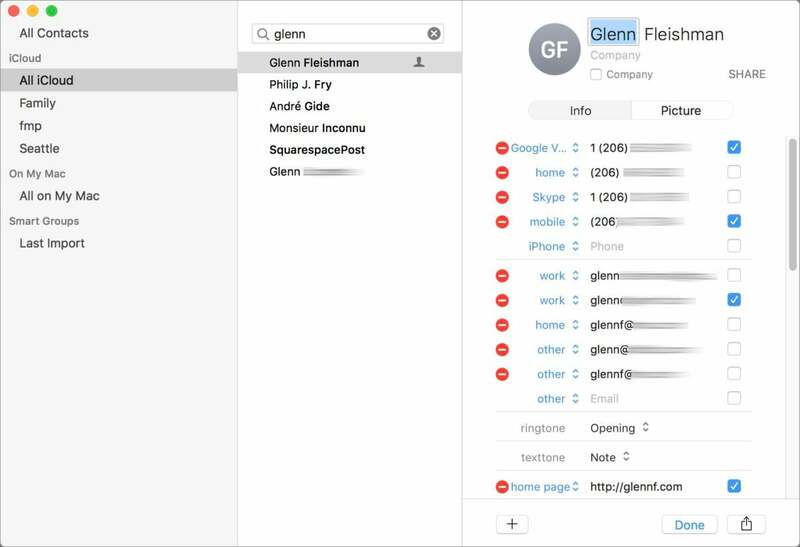 You can also send this contact to nearly anyone via text or email, as Apple uses the standard vCard format, which is supported on all the major software platforms and associated and third-party contact apps.